I am currently sat snuggled up on my sofa with my candles lit (Bath and Body Works bought while in Orlando naturally), a cosy soft throw over my legs and with a warm hot chocolate next to me. The thing about going on holiday while it is getting colder in the UK is that while many people are starting to get that autumnal and winter feeling, I am still dreaming about the sun beating down on my shoulders and I have still got swimming costumes and shorts in the washing pile ready to put away for another year. I have so many posts about Orlando I want to write. I like to think that we now know what we are talking about a little bit, and I have so much I want to share. I want to start by saying that we have fallen in love with the place even more than I could have thought possible. At many points during our trip I turned to Jon and said ‘We should look at buying a holiday home here’. (Bearing in mind we can only just about afford the house we have got, let alone consider buying another one). But that is the point, Orlando makes me dream. It makes me dream of going there year after year. I always have wanderlust and I rarely want to go back to the same place, I want to explore and show my children as much of the world as I can, but for some reason I can’t get enough of it. You know how at the end of a holiday there is always a small part of you that is looking forward to getting home to your house and feels a little bit of a sense of relief about being home? I don’t feel that with Orlando, I get tears in my eyes thinking about leaving it. I thought I would start nice and simple with my first post. And what better way to start than with snacks? I think if I lived in Orlando I would be the size of a house as it really is full of amazing places to eat. Disney World has a huge array of places to grab a Disney inspired snack and as I was taking photos of them all this time, I thought it would be a fun idea for a blog post. I will start with the ultimate and best. If you only try one naughty snack while you are at Disney, it has to in my opinion be a Mickey waffle. Genuinely if you think about it what could be better? Breakfast or brunch is my favourite meal of the day and the breakfasts at Disney are the BEST. Chef Mickey’s is a must visit (prepare to book far in advance to get a table or check out cancellations regularly nearer the time). Based in the Contemporary Resort it is a character meet and greet where Mickey, Minnie, Donald, Goofy and Pluto come round to your table while you eat yummy breakfast. Plus don’t just go for the waffles themselves- layer them with cream and sprinkles, after all you are on holiday. 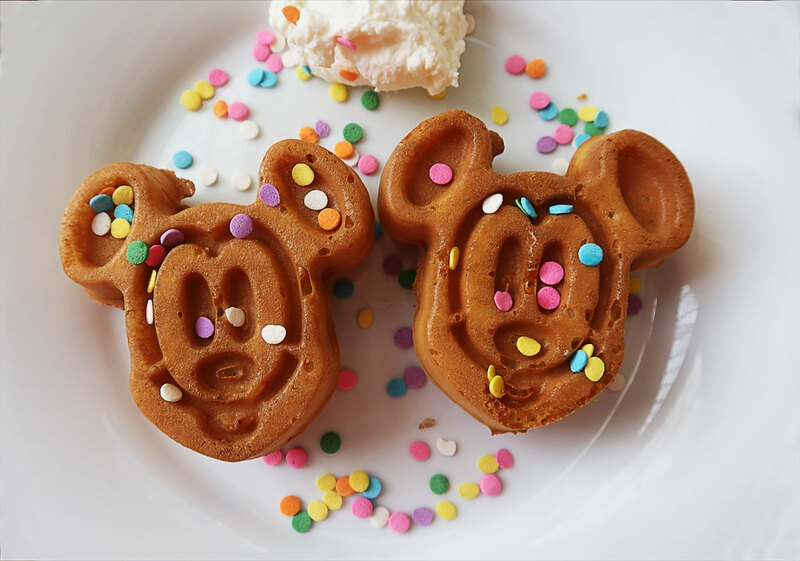 It’s not just the Contemporary Resort, you can get Mickey waffles in certain places throughout Disney- we have had them in Hollywood and Vine in Hollywood Studios and I hear you can get them in a lot of resort restaurants and in certain places in Magic Kingdom too. Do you see the theme here? Disney are a big fan of a Mickey based snack and to be fair who blames them? If you are more a savoury person rather than sweet then you absolutely need to try a Mickey pretzel. Even better with Disney’s signature cheese sauce which is oh so wrong but oh so right. 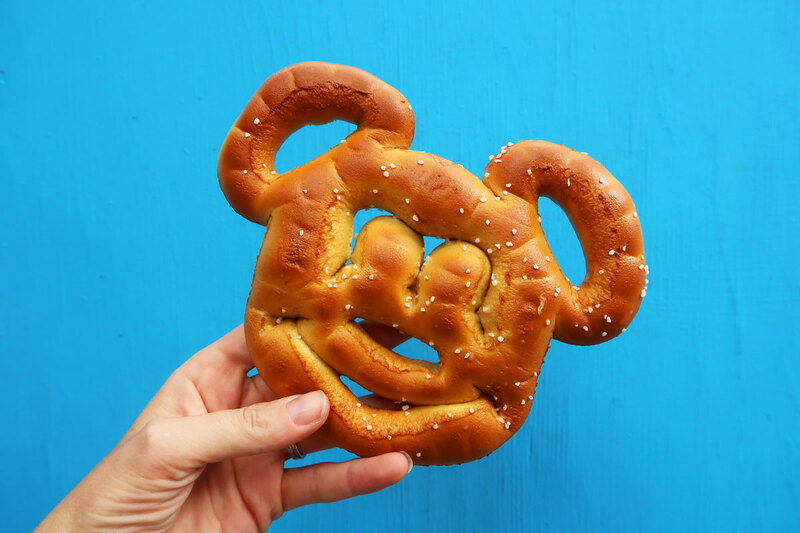 Apparently according to Disney, 2.7 million Mickey pretzels were enjoyed last year. That’s an awful lot of pretzels but is a sure fire way to show you just how good they are. You can get them around the parks in different vendor carts and fast food service restaurants. We got ours from outside Toy Story Midway Mania in Hollywood Studios. 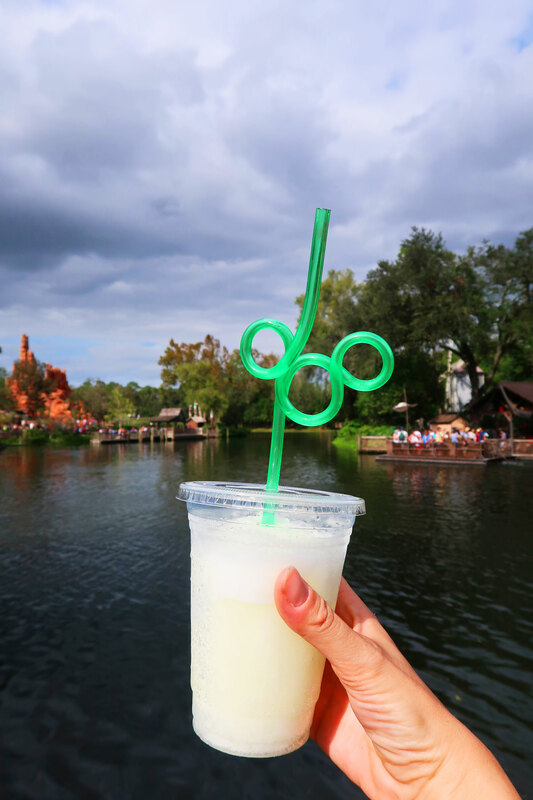 Not strictly a snack but definitely a must have on one of those hot Orlando days, Disney’s frozen lemonade is an absolute thirst quencher when you are hot and sweaty from too much screaming on Splash Mountain. Even better that it is served with a Mickey straw which you can keep us a souvenir. You can get frozen lemonade from a few spots round the park, we got ours from Westward Ho in Frontierland. It’s the best way of cooling off, taking a breather and people watching while you sip the icy goodness. 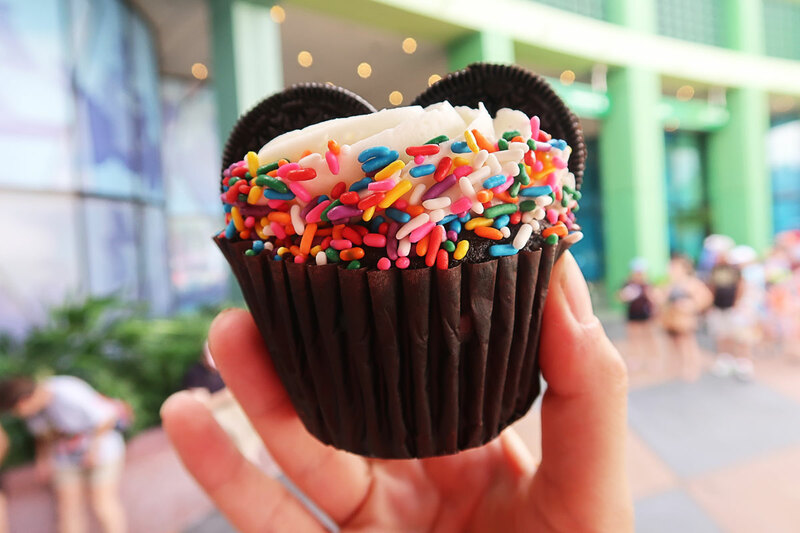 As if you hadn’t guessed a theme by now, here is another Mickey based delicious treat that you just need to try. 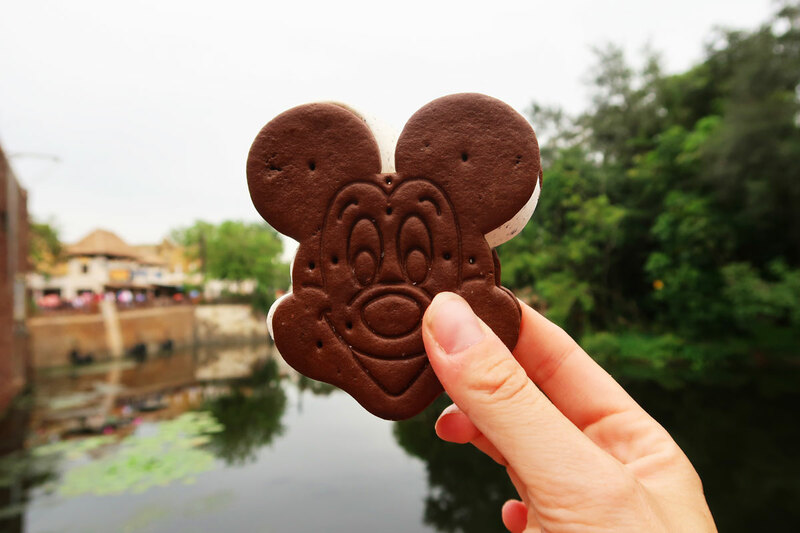 You will find these Mickey shaped ice cream sandwiches everywhere in the parks, just look for any ice cream vendor and you will be sure to find one. A thick layer of ice cream sandwiched between two chocolate cookies- what could be better? And there you have it. I am now sat with my mouth watering wishing I was back in Orlando eating a Mickey Pretzel. Lots more Orlando posts coming soon! NB: Thanks to Visit Orlando for helping support our holiday to Orlando.. All words, photos, videos and opinions are entirely my own and they haven’t asked me to write about anything- all content has been decided by me. You can follow them over on twitter, instagram and Facebook, plus download their amazing app to help you plan your trip here. I’ll have a Mickey Ice cream sandwich please! Oh my goodness you just made this pregnant lady cravings go through the roof. Now I must beg hubby to take us to Florida just so I can eat these pronto!!! It’s a pregnancy obligation right??? They all look amazing as did your Florida adventures.